I have a large piece of subway art for each holiday that is intended to be framed and set on the mantel. It was one of my favorite holiday decorations. I think I am not falling in love with the idea of a silhouette pallet for each holiday. 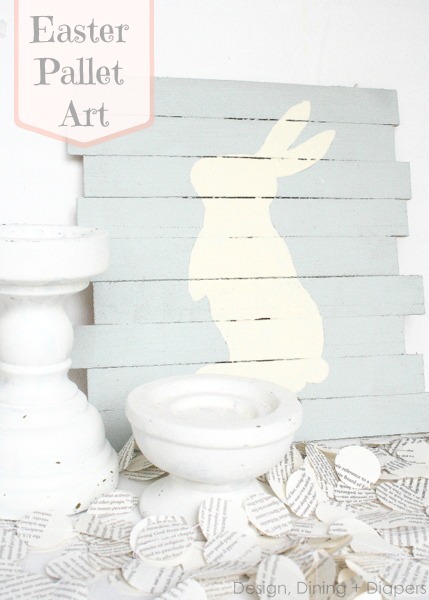 Like this Easter bunny pallet art that Taryn created. I started looking around to see if there were any other ideas for other holidays and discovered that Taryn had already been doing it for other holidays. I love love LOVE this idea! Now to just get some contractor shims! 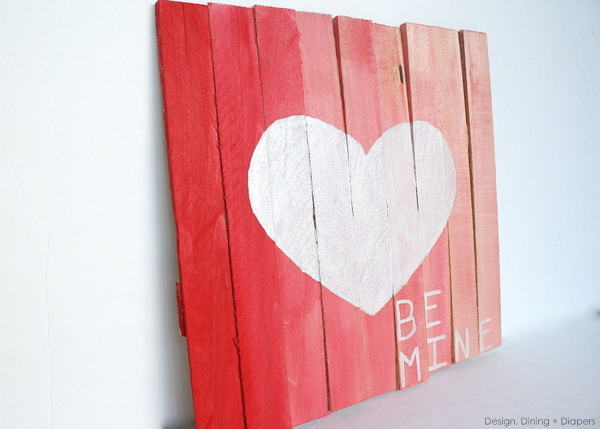 You can check out how to make DIY pallet art over at Design, Dining + Diapers.